Istella al-Shorachi, 18, has packed a lifetime’s worth of adventure and heartache into the past four years and already discovered her life’s calling to help others no matter where she finds herself. 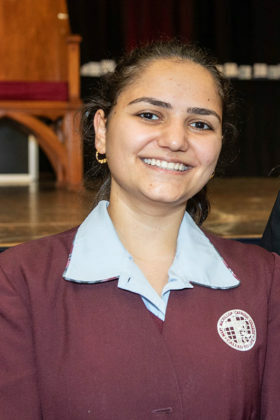 The Year 12 student from Mary MacKillop Catholic College, Wakeley, arrived in Sydney from Jordan with her parents and three brothers in September 2016. 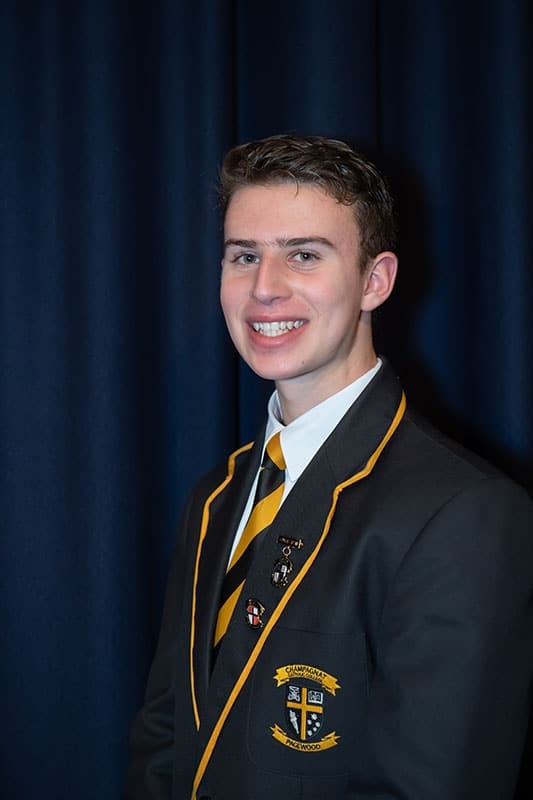 Andrew has immersed himself in the faith-life of the College and has made an outstanding contribution in all aspects of College life. Andrew has been an active participant in the Matthew Talbot Hostel Outreach Program and the Year of Youth Leadership group. 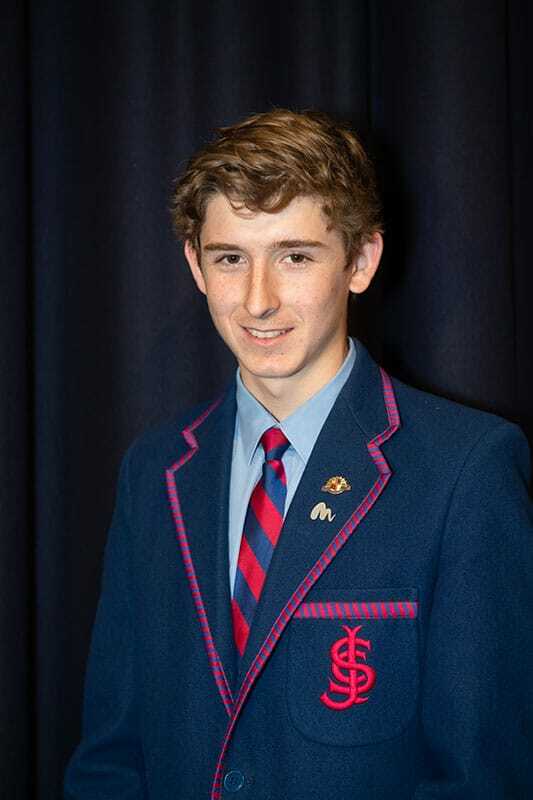 He has been a catechist and he is the Head student Altar Server at St Mary’s Cathedral. Daniel is a very impressive young man who has a strong, deep faith. As a school leader he has inspired and motivated younger students, especially in areas of liturgy and social justice. 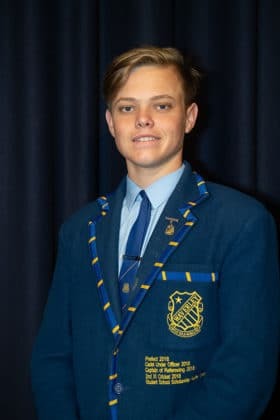 He shares his faith willingly to the school community and he is an outstanding Christian role model for younger students. Adeline is an active contributor to all aspects of life at Mount St Joseph. 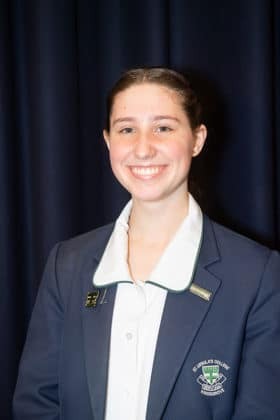 She is an Extraordinary Minister of Holy Communion, and a Student Evangelisation Ambassador who leads social justice initiatives in her role as College Captain. 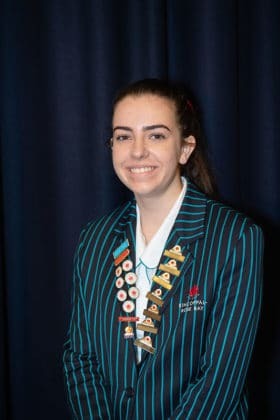 Adeline has organised interschool youth group activities at St Therese’s Padstow and actively contributes to the youth Masses there and at St Luke’s Revesby. 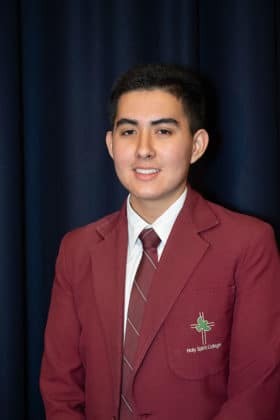 Aiden has generously contributed his gifts to the religious life and culture of both the College Community and his parish of St Patrick’s, Revesby Heights. As a Lasallian Youth Leader and Student Representative Councillor, he is a Minister of the Word and provides hospitality at Parish and College Masses. He has also completed the ‘Christian Mission, Faith in Action’ service program. Alyssa is an outstanding student of St Ursula’s College, Kingsgrove and gives true witness to her faith both in her school and parish. 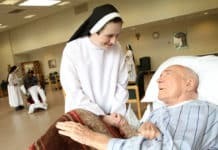 She worships at Our Lady of Fatima where she has served as an Altar Server for the last 8 years and is now a trained Senior Server and Extraordinary Minster of Holy Communion. She is the liturgical dance co-choreographer at Our Lady of Fatima parish and has also participated in the dramatisation of the Stations of the Cross for the last 3 years. Amy is an exceptional young woman who lives out the Catholic Gospel messages of Service, Love and Hope. She bears witness to her faith in her local Parish, St Patrick’s Sutherland, where she is a Minister of the Word. Amy contributes to the faith life of the youth of the parish through her regular assistance in the preparation of Youth Masses and in contributing to the Sacramental Program. Andre is a young man committed to his faith. 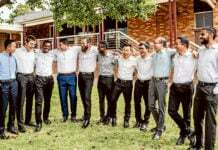 He has immersed himself in parish life as a member of John the Baptist Parish, Bonnyrigg Heights where he recently accepted a position on the Parish Council. His faith is proclaimed in his regular attendance at Mass, Friday Rosary, and involvement with Project Compassion at the College. Andre’s faith was inspired by his participation in World Youth Day 2016 and Stations of the Cross on Good Friday this year. Andre’s commitment to the student catechist program in 2016 shows his willingness to evangelise to the younger generation. Andre lives our College motto “Proclaim the Good News” to all he meets in word and deed. 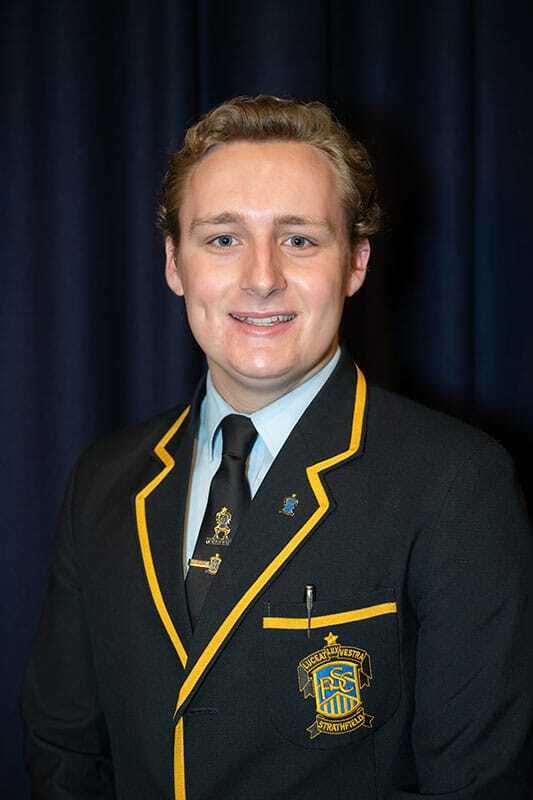 Andrew is the Ministry Captain at Marcellin College. 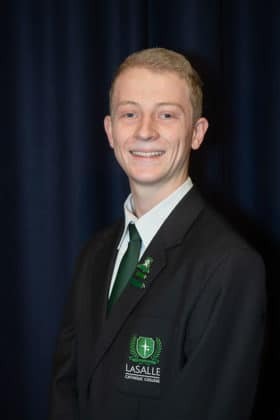 In this role, Andrew is involved in every school liturgy, as well as representing the College in various ministry projects. He regularly leads prayer at College Assemblies, and he is an Altar Server at the College and in his parish of St Mary and St Joseph Parish, Maroubra. 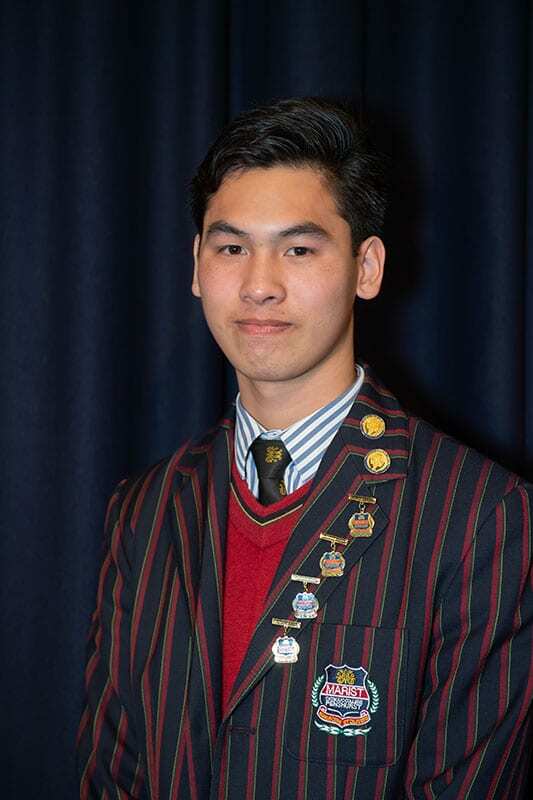 Andrew is a gentle and considerate young man who wholeheartedly lives out his faith. He demonstrates the true sense of servant leadership and has a strong sense of community both at school and in his parish. 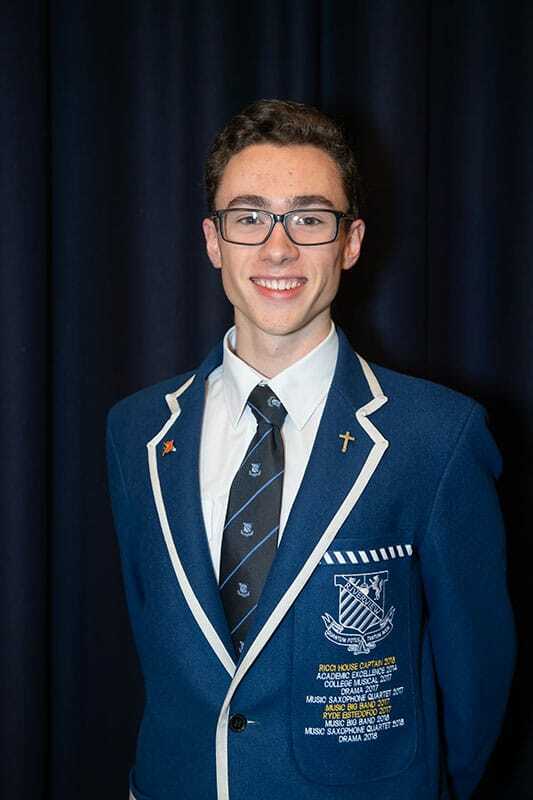 As a Year 12 Leader in Liturgy, Andrew is deeply involved in all dimensions of religious life at the College, and he participates in and leads school liturgies and prayers with passion. He also serves as an Extraordinary Minister of Holy Communion at all College Masses. Andrew is an active member of Regina Coeli Parish where he is an Altar Server. Annaliese Roehrig is the College Liturgy Captain and an outstanding example of someone who lives the Catholic faith. As an active member of St Brigid’s parish, Annaliese is involved with the Youth Group, she is an Altar Server, Minister of the Word and Extraordinary Minister of Holy Communion. Anthony has been a role model to his peers throughout his time at Rosebank College and is an active member of St Mary’s Catholic Parish, Georges Hall where he has been an Altar Server, Minister of the Word and a member of the Ephesus Youth Group. He has contributed to many aspects of College life and is always willing to express and share his faith with others. 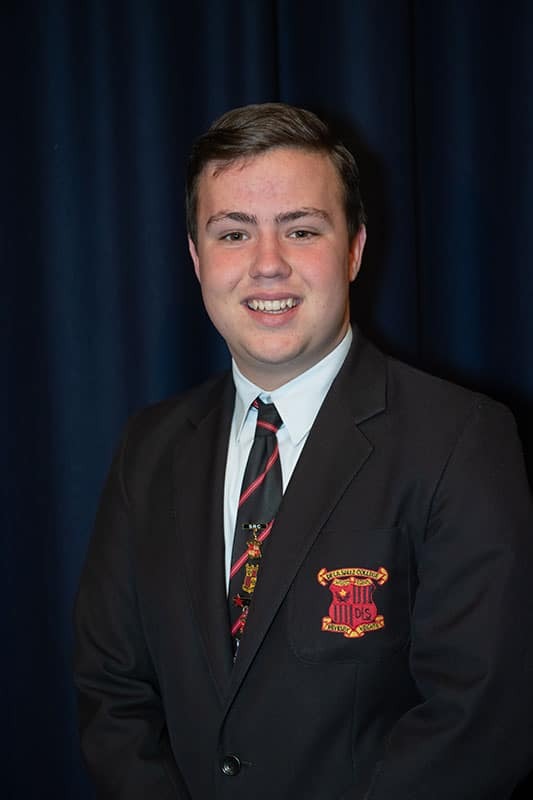 Anthony has assisted with preparing liturgies and prayer services. Charles is a young man of the highest calibre. 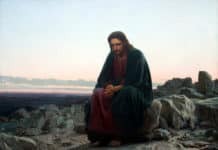 He works hard, he has achieved many great things across all facets of life, but in doing so, never seeks praise or acclamation. He is a quiet achiever who puts others before himself and as a result has earned the deep respect of his peers, staff and younger students. Charles holds the position of Dorm Senior, which is our highest leadership position and sees him live among younger students and assist with their supervision. He is a Senior Server and through this ministry, he has positively influenced many others and their relationship with God. Deon is actively involved in many aspects of College life and he is an exemplar of commitment to service and ministry. 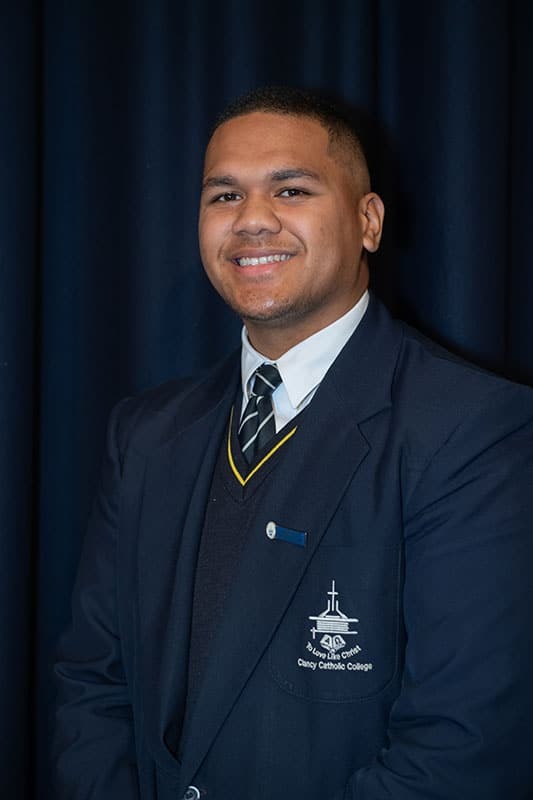 Deon embodies all the positive aspects of what Catholic schools envisage in Christian Leadership. He has participated in a variety of social justice events, in World Youth Day 2016 and in the school Philippines immersion in 2017. 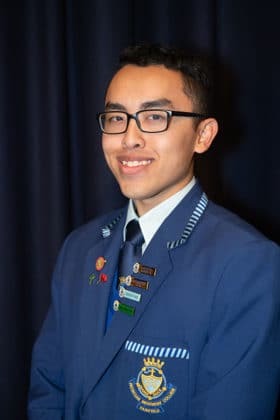 Deon has also participated in numerous diocesan and parish youth forums, and he was instrumental in starting the weekly lunchtime prayer group at the College. Elina is a diligent, generous and faith filled member of the College community. 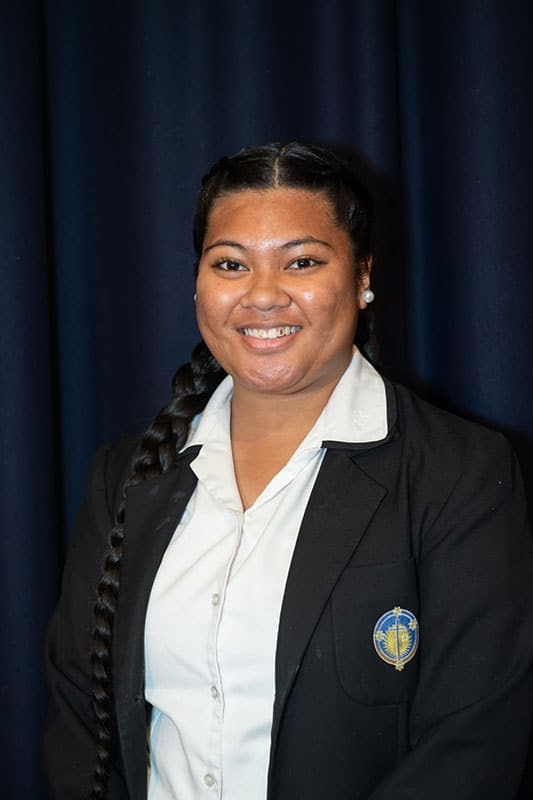 As a member of St Joachim’s Parish, Lidcombe and the Tongan Catholic Community, Elina has exemplified a commitment to the service of others. This service has been evident in her social outreach with the St Vincent de Paul Society, teaching Catechist classes and her involvement in the College Youth Fellowship group. Emmanuel lives his faith each and every day. He is an active member of the Parish of St Therese at Lakemba where he is an Altar Server and Extraordinary Minister of Holy Communion. At the College, Emmanuel lives his faith by his wide involvement in a variety of initiatives including volunteering to support younger students in Home Work Help after school. Emmanuel approaches his studies in a diligent and conscientious manner. He is a young man of faith who embodies the College motto ‘Veni Sancte Spiritus’ by making the most of the many gifts he has received. Enrico is a young man who typifies the spirit of hospitality and welcome that characterises the Patrician Charism of Holy Cross College. 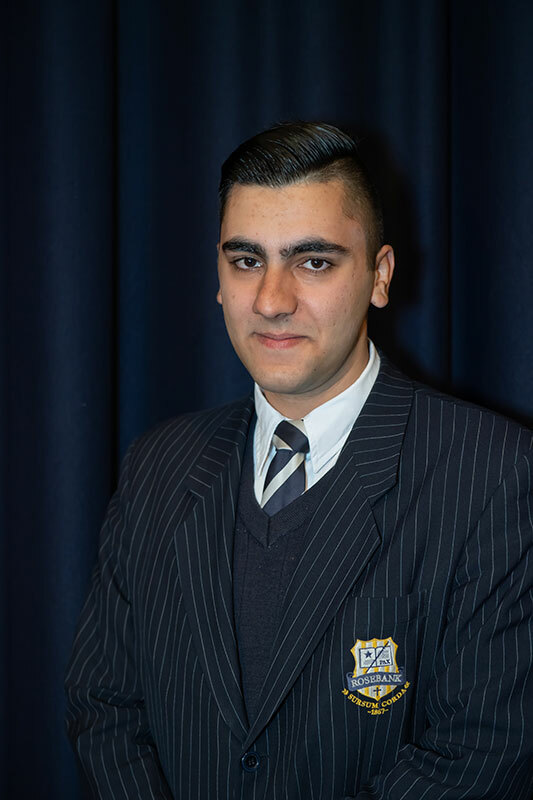 Enrico has demonstrated a commitment to the care and wellbeing of the students in younger years. 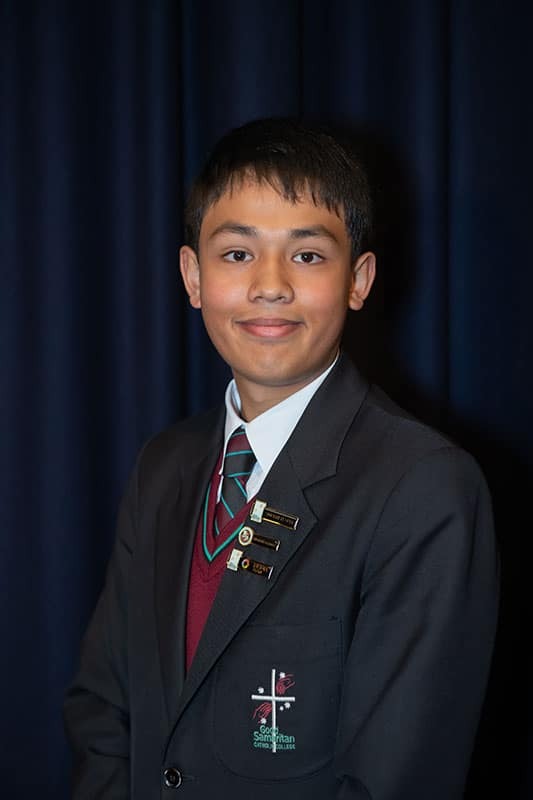 Accordingly, he was elected by his peers to the leadership position of Senior Councillor for Year 9. 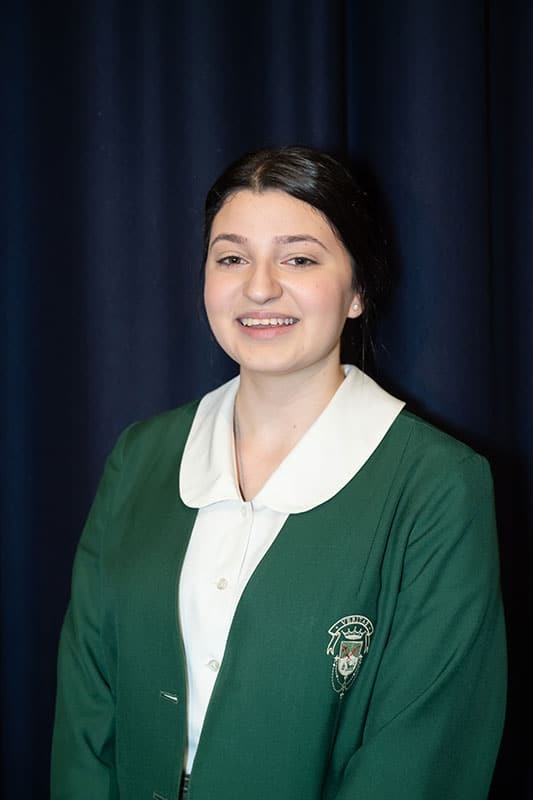 Estelle is an outstanding leader and faith-filled member of our College who actively contributes to the religious life of her parish and school. 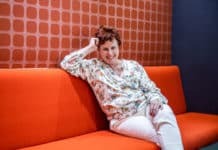 She is extensively involved in her parish as a Choir Member, Minister of the Word, Extraordinary Minister of the Eucharist, Children’s Liturgy Leader, and she is on the Youth Mass planning committee and Antioch leadership team. Felix is an extraordinary young man, who, having only recently received the Sacraments of Initiation, exemplifies what it means to be a young Catholic in today’s world. Felix can be characterised by his selfless giving to others. He has a strong sense of justice, and he has demonstrated great maturity and compassion through volunteer work with the St Vincent de Paul Society and other charitable causes. Felix’s generosity and awareness of people on the margins of society was evident through his involvement in his Immersion experience in India. As College Liturgy Prefect, Jason Truong has an integral role in College religious life and student faith development. 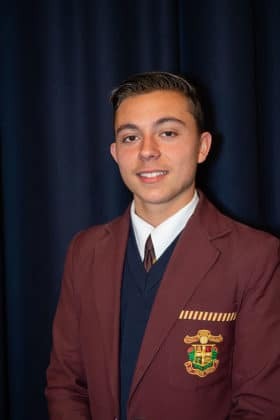 He role-modelled outstanding Christian leadership as Youth Ambassador in the College Year of Youth Team and Youth Ministry Team, as well as being MC for the Father Rob Galea concert. Jason gives witness to his Christian faith as an Extraordinary Minister of Holy Communion and his enthusiastic involvement in the “The Breastplates” Social Justice group. 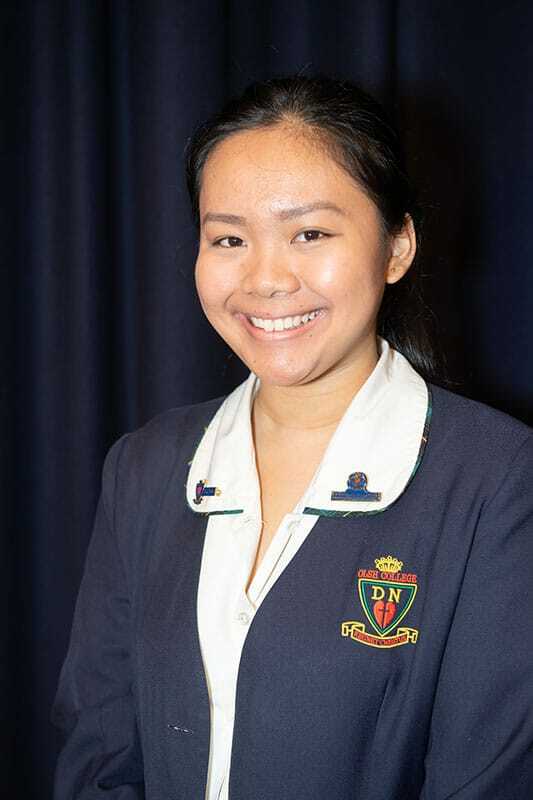 Jane is a self-motivated, hardworking and caring young lady who actively contributes to the Catholic life of the College and parish community. She stands out as a student of integrity and faith, who is always prepared to give of herself. Her willingness to become involved in many aspects of College life is outstanding. Jane is on the Year of Youth Leadership team, and she participated in the Australian Catholic Youth Festival, and College Buddies Day. 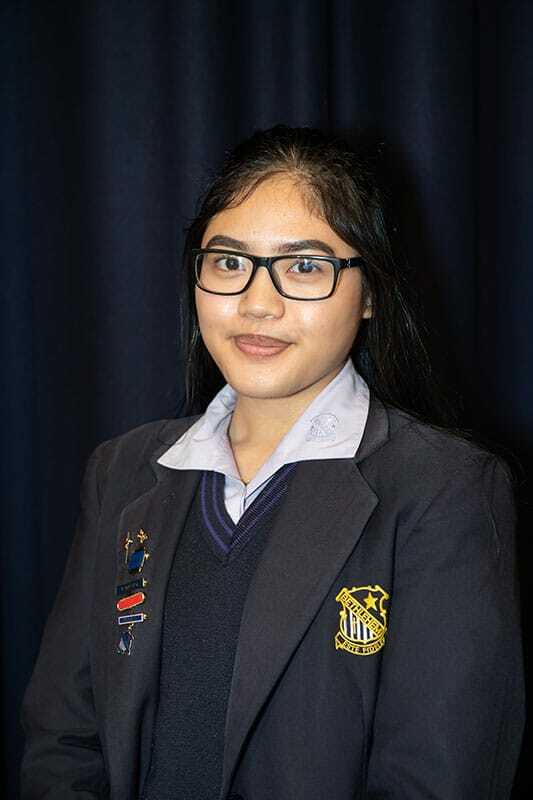 Janice is an exemplary young woman with a very keen social conscience that is driven by her faith. As an active member of St Patrick’s Kogarah, Janice is a Minister of the Word and an Extraordinary Minister of Holy Communion. 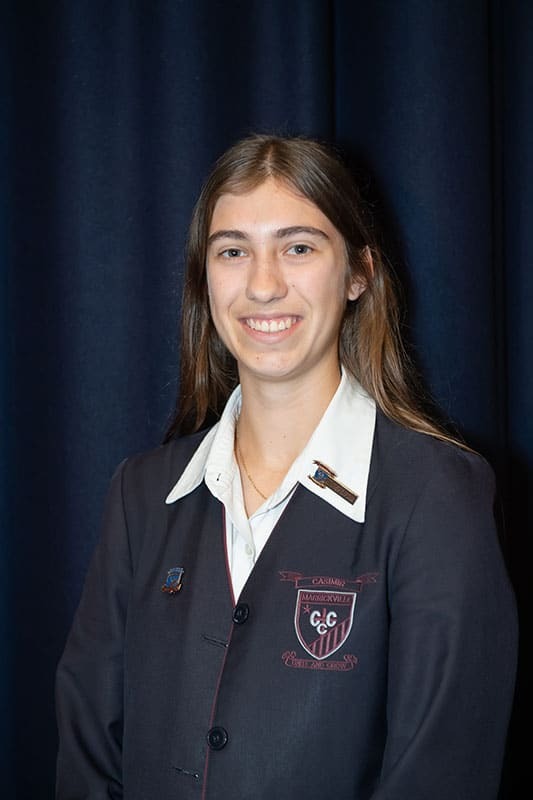 She has also previously contributed as an Altar Server and regularly assists with morning tea for the elderly. Jennifer Boutros has been an exemplary student of St Charbel’s College in her attitude and service to the school and Church community. 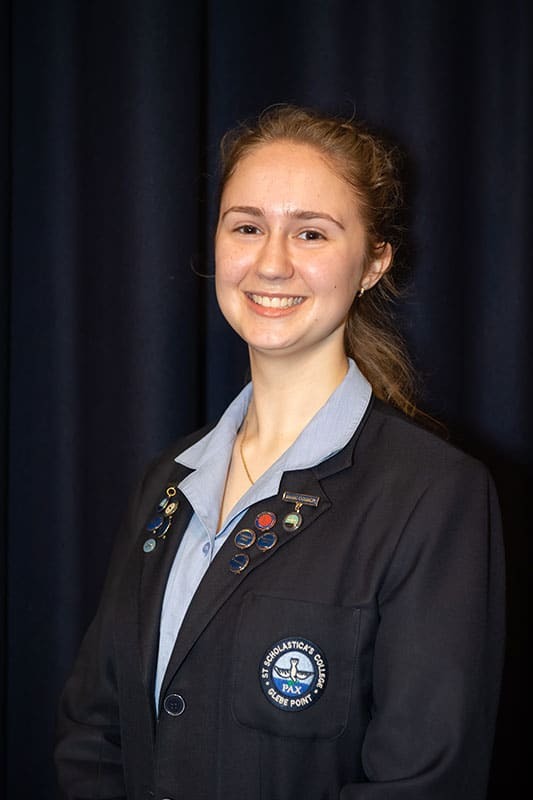 She is the Vice Captain of Liturgy, and she has reflectively contributed to the development of the Religious Education program and liturgies at the College. Jennifer Fong is an outstanding young woman of faith and action whose generosity and selfless service to others is evident in both the College and Parish of North Sydney. 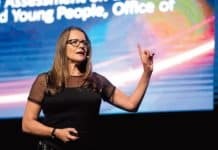 She is a senior leader responsible for the Indigenous Social Justice group and has been an active member of the Mercy Action Group for six years. She has also been committed for three years to serving the Jesuit Mission Office in North Sydney on a weekly basis. Justin is a young man of deep faith who is involved in all dimensions of the religious life of the College. 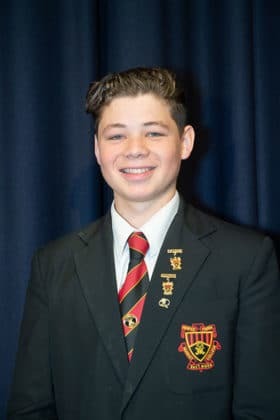 He demonstrates a depth of maturity and wisdom in his interactions with peers and staff, and he is a role model of the highest calibre. Kodie is a Dhawaral woman who shares her culture; First Nation and Catholic, with grace and generosity. She is a regular participant at the La Perouse Reconciliation Church that gathers monthly to share Eucharist and honour culture. 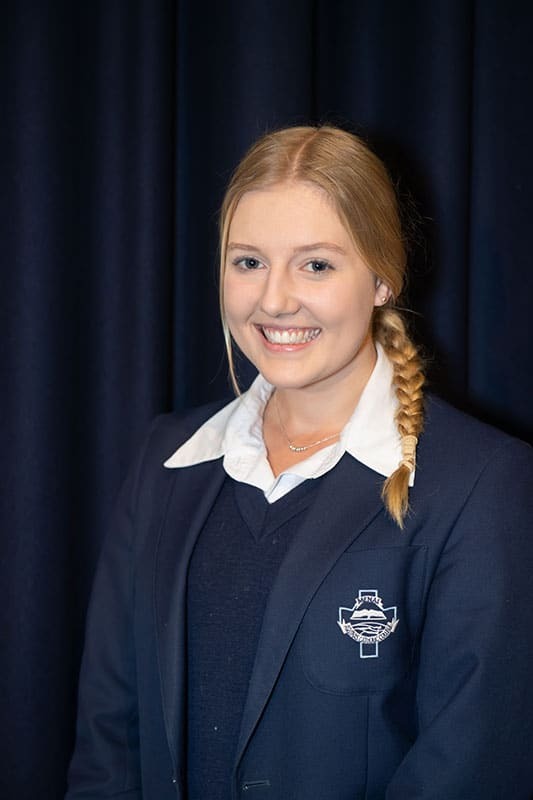 At St Canice’s, and as a member of the Boarding Community, Kodie is a welcomer, collector and singer in the Choir. At the College she is a leader of the Garraway Dance Troupe and mentor to younger First Nation students. Kodie creatively and inclusively acknowledges land at all liturgical events at the College. Additionally, Kodie advocates and works for justice through Vinnies Buddies Day, Vincentian House and Immersion Programs. As an active member of both his parish and school community, McKenily is a sincere young man committed to endorsing Catholic values. With a strong desire to be a role model to younger students, he takes pride in always assisting those in need; and demonstrating his commitment through involvement in many of the College’s programs. As an Extraordinary Minister of Holy Communion, McKenily is also significantly involved in many aspects of his local parish, thereby carrying on his mission for his faith to be present in all facets of his life. 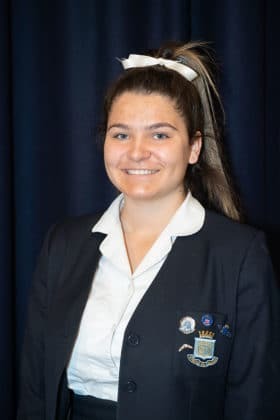 Natasha is an outstanding role model who strives to empower the students of Our Lady of the Sacred Heart College by modelling a life based on Gospel values. She is a young woman of simplicity and a leader who is prepared to serve. As the College Liturgy Captain, Natasha inspires others in the College by being an Extraordinary Minister of Holy Communion, writing and leading prayers at College assemblies, visiting St Joseph’s Nursing Home, organising the roster of Altar Servers for weekly Mass, participating in the Catechist program and training junior Altar Servers. As a Leader of Catholic Life, Nelson is an authentic witness to his faith, empowering all members of the Clancy community, ‘To Love Like Christ.’ He enriches the liturgical life of his Parish community, particularly through sharing his musical talents and he regularly leads the College in prayer. 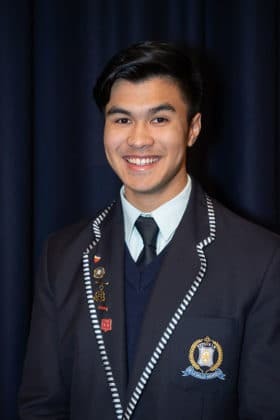 Nelson actively seeks to nourish his faith, participating in a variety of Parish, College and wider Church initiatives including his involvement in the Samoan Catholic community and the Australian Catholic Youth Festival. Nelson is an integral part of the College’s Evangelisation Team, encouraging others to share their own gifts and talents. 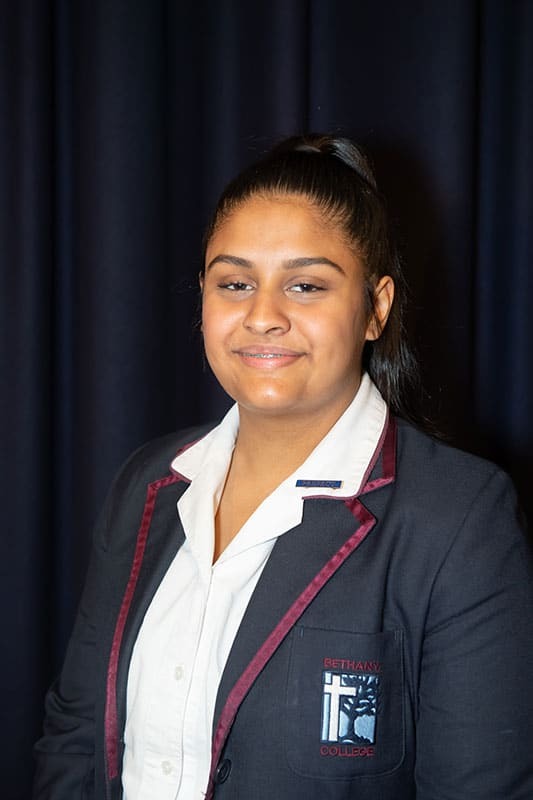 Nikita is a deeply committed Catholic who is a shining example of giving witness to her faith both at the College and in her parish. 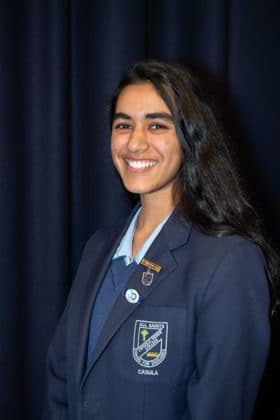 As the College Captain, Nikita is a role model who actively engages in her faith. 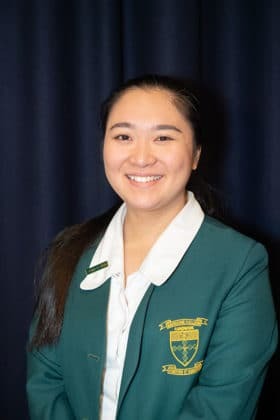 She has been involved in The Year of Youth activities, Australian Catholic Youth Festival, she is a leader of the Alpha Program, and leads weekly prayer at the College. Nikita is a leader in the Parish Sacramental Program, in the Years 5 and 6 Youth Group, and she serves as a catechist. Nikita is also actively involved in Antioch and sees the love of God as irreplaceable and beautiful. 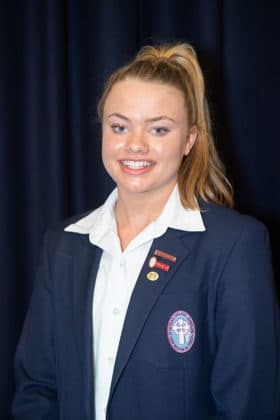 Olivia is an outstanding young woman who has a genuine and authentic commitment to her faith which is evident in her service to her local parish and the College community. An active member of St Joseph’s Parish Riverwood, Olivia is highly valued and exceptional in the manner in which she gives witness to her faith assisting in the preparation of the weekly liturgy, parish choir and sacramental program. Patrick is an outstanding Catholic leader not just for his age, but by any chosen measurement. He is active in the faith life of both Saint Ignatius’ College, and his own parish. At the College, Patrick serves as a House Captain, he helps to prepare liturgies, and serves as an Extraordinary Minister of Holy Communion. 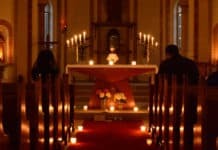 Additionally, he is very active in helping with service activities, and is a Minister of the Word and Eucharistic Minister for his home parish. Patrick is a wonderful young man who will be a great asset as a leader of the Catholic faith into the 21st century. Phiya proclaims her faith with confidence, pride and generosity of spirit. She has been a major inspiration to other young Catholics through her leadership of Precinct Youth Faith Formation evenings. She is an active and dedicated Leader of Youth for Christ, volunteering her time to contribute to parish youth events and the Kids for Christ group. 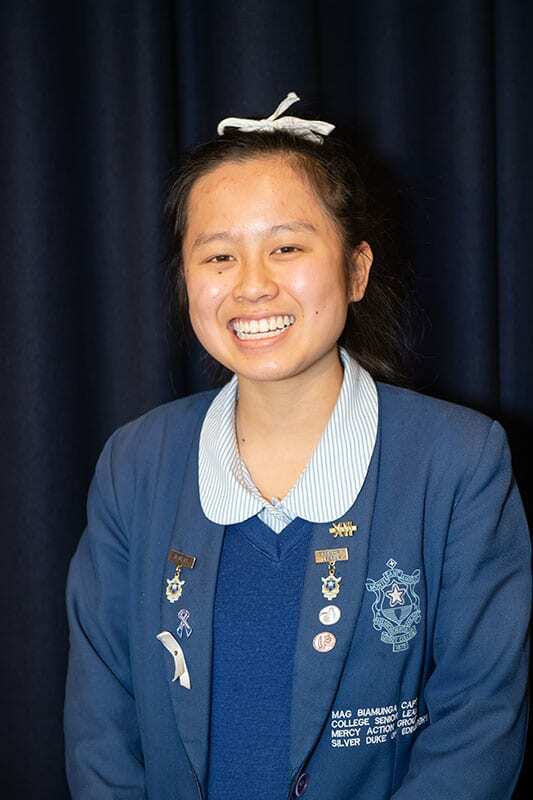 Phiya has been a leader at College Reflection Days, she has shown commitment to helping the plight of refugees and has assisted in fundraising for Caritas Australia. Ruby is a dedicated parish member of St Michael’s Hurstville, Our Lady of Fatima, Caringbah and St Aloysius, Cronulla. She has volunteered through her involvement in the Sacramental Program, Care & Concern, as a catechist, helping in youth Masses, and in Lasallian Leader programmes. 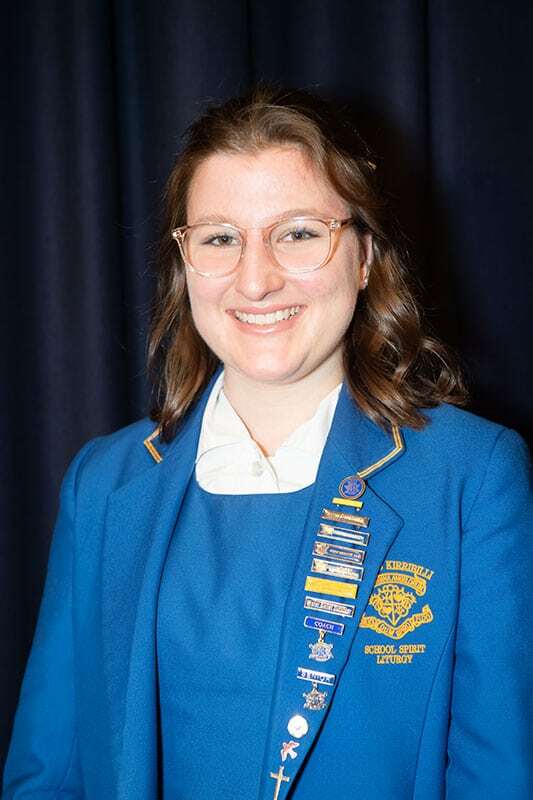 Ruby attended Australian Catholic Youth Festival in 2017 and World Youth Day in 2016. 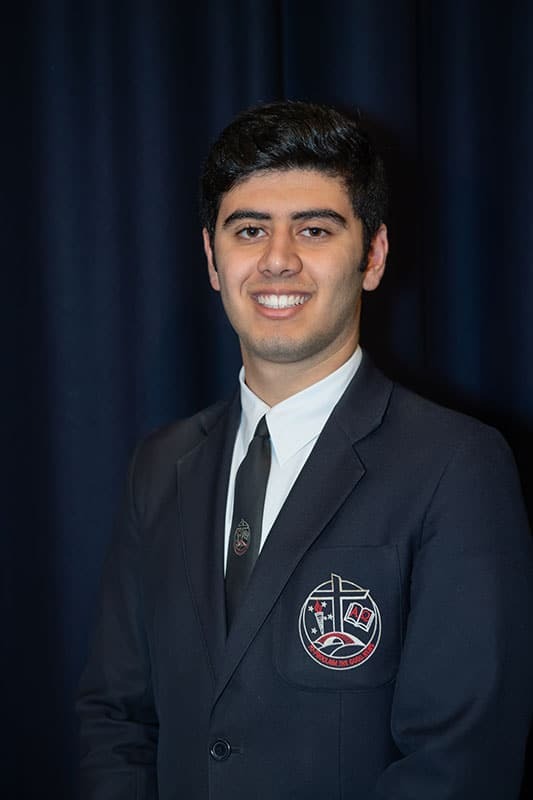 Sagar has been an outstanding leader in his final year at the College. 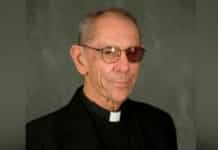 He has been a model witness to his Catholic faith and a role model for the younger students. 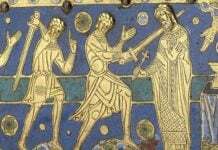 He involves himself in Masses at the College and often leads school prayer at assemblies. Sagar has a passion for social justice and helping those in need. 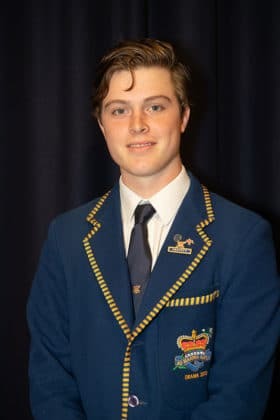 He was fully involved in the Australian Catholic Youth Festival in Sydney last year and he lives his Christian values daily. Saki is a fine example of a Catholic secondary student. 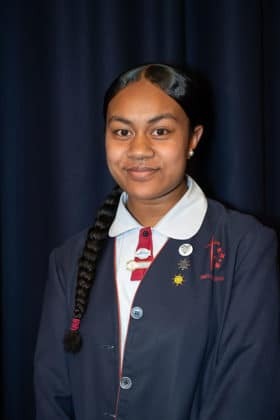 At Brigidine College and in Our Lady of the Sacred Heart Parish, Saki prepares the altar and is a Senior Altar Server. 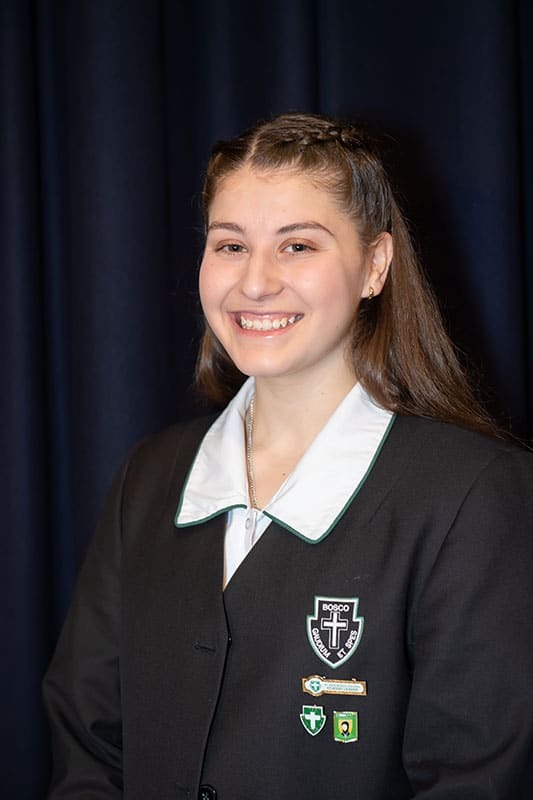 As a member of the Brigidine Liturgy Committee, Saki is also responsible for the training of younger girls as Altar Servers. Sally demonstrates the qualities and values held dear by Loreto through gracious service and leading by example. She finds joy in her school and wider community, which is enhanced through selflessly contributing her gifts. Sally is an Extraordinary Minister of Holy Communion, Altar Server, and a Minister of the Word in her parish and she has assisted in Celebrations of Liturgy of the Word for Children. 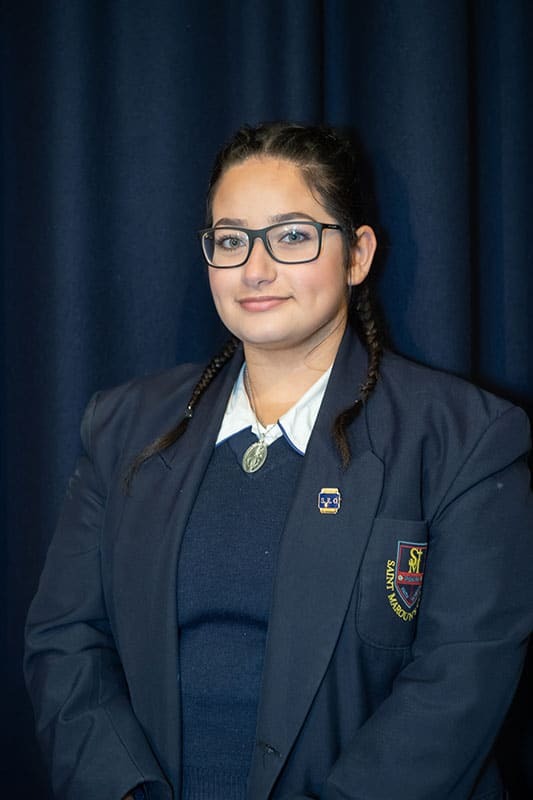 Sandy has been a member of St Maroun’s College community for seven years. She is distinguished by her faithfulness to God’s word and her respect and love for all those around her. Her mature approach and responsible behaviour in all facets of schooling is exemplary. 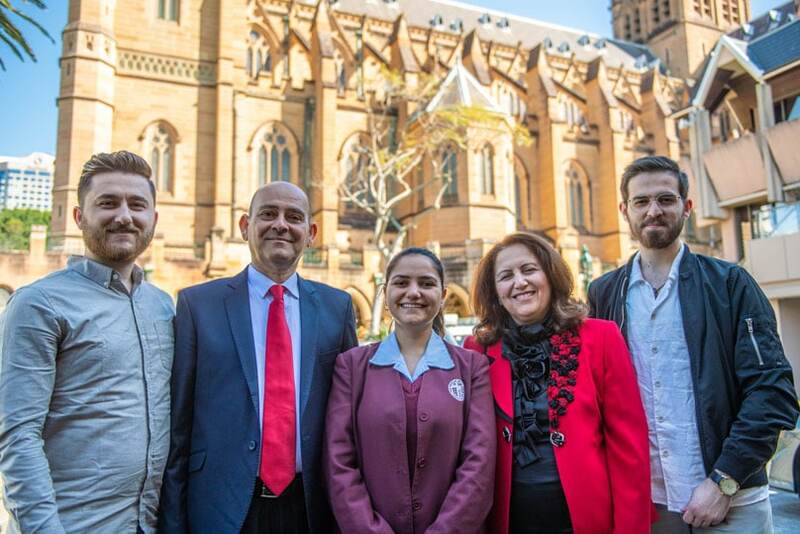 In her local Parish, Sandy has voluntarily dedicated her Saturdays to teaching Scripture and the Catechism to younger members of the Maronite community, as well as organising religious festivals and fundraisers for the Church. Istella is an impressive young woman who draws strength from her faith. Escaping from Iraq to Jordan, Istella found comfort in creating games for the children to play, helping her mother cook for the other refugees and assisting the Priests at Mass. 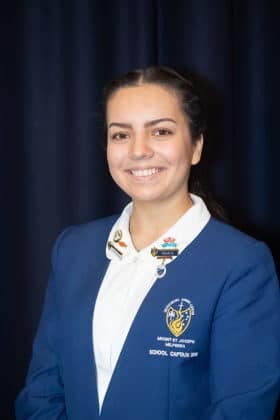 Since arriving in Australia in September 2016, Istella gives witness to her faith in her parish Our Lady of Mercy Syriac Catholic Church, Concord, where she is a Minister of the Word, a member of the youth group and assists with cleaning. At the College, Istella assists new arrival students in the Catholic Intensive English Centre by volunteering as a tutor at lunchtimes. Sarah has been extremely present in the faith life of Santa Sabina and her own parish for many years. She was the College Liturgy Leader in 2017 and in this role has helped to prepare liturgies and fundraising events. She has been a devoted member of the Student Prayer Group and has been an Extraordinary Minister of Holy Communion. In her own parish, she attends Rosary Group, Catholic Adult Faith Formation events and spiritual retreats. Sarah also plans and teaches Catechism lessons to young students and has been actively involved in St Vincent de Paul outreach activities such as hamper packing and the distribution of donation envelopes. Sesilia has lived her school life as an exemplary young Catholic role model. 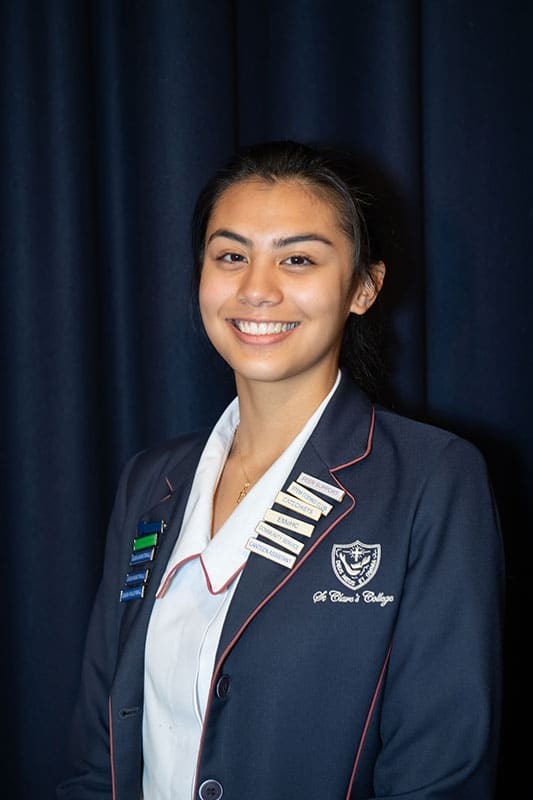 Within the College, Sesilia has been involved with REMAR for three years, and she is Leader of Catholic Life and Mission. This role has involved Sesilia participating in prayer services, morning Mass, and the the College Choir. Sesilia has been involved in various activities within her local parish of St John of God where she is an Extraordinary Minister of the Eucharist and a Minister of the Word. Simeon displays a strong, yet humble leadership. As a Prefect, he has undertaken the responsibilities of the role with great dedication and commitment. 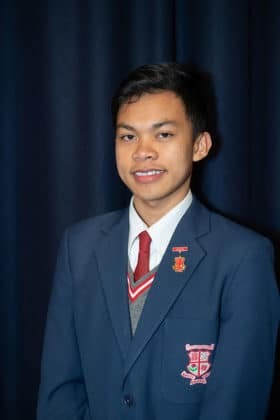 Simeon is well respected by all members of the community and has displayed a strong sense of social justice through his participation in the Philippines Immersion. 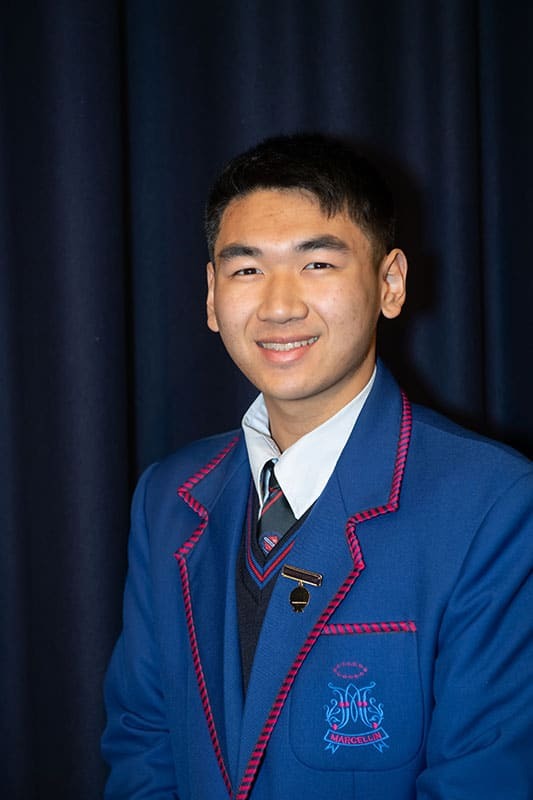 Simeon’s commitment to his faith has been demonstrated in his outstanding leadership at the Year 12 Kairos Retreat, as an Extraordinary Minister of Holy Communion, Altar Server, and a leader for Peer Led Youth Ministry. Simeon attends Mass at his Parish of St Mark’s and is a regular Minister of the Word. Sophia is a young woman who joyfully celebrates her Catholic faith. As College House Liturgy Captain, she actively leads the College community in prayer and liturgies. 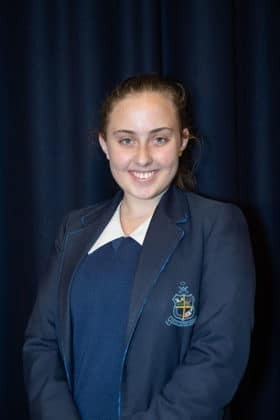 She was also an enthusiastic three-day participant at the Australian Catholic Youth Festival 2017. Sophia represented the College at the Bishop’s Luncheon and she is passionate about engaging young people in celebrating their faith. Sophia is an active member of St Charles Borromeo Parish, Ryde, where she is a Minister of the Word, and a regular attendee of ‘Sunday Sessions’; Young Adults Group. Sophia also participated in the Y-Factor camp. Stephen is a Prefect and Cade Under Officer. 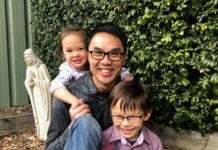 He has been an Altar Server in the St Mary and St Joseph Parish, Maroubra Bay and has served as a catechist at Bondi Beach Primary School. 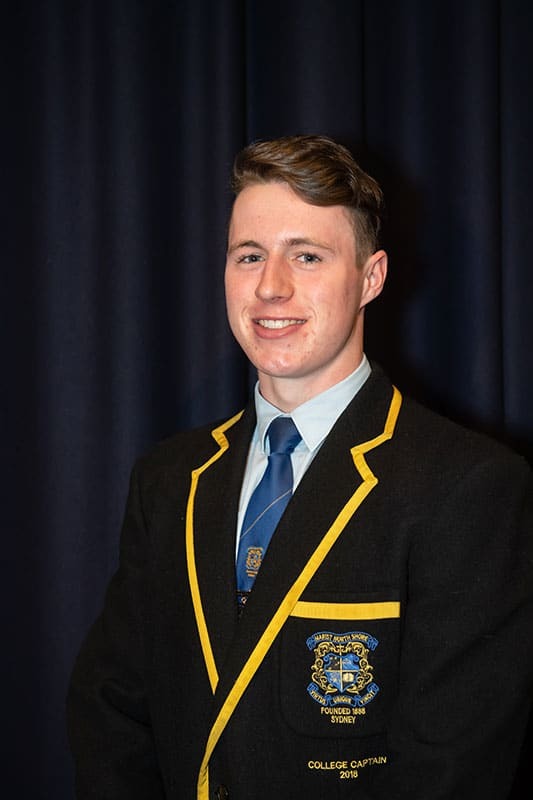 Stephen’s strong academic performance is complimented by his co-curricular involvement in sport. However, it is Stephen’s keen participation in Social Justice initiatives, including Matt Talbot, Canteen, White Ribbon, RUOK? and the Holdsworth Community that best shows his concern for others. Stephen is well respected for this faith, commitment, involvement and determination regarding his endeavours. Tobias is an outstanding young Christian gentleman who contributes significantly to St Patrick’s. He is a motivated student who excels academically and he is an enthusiastic participant in the College’s Social Justice, Drama and Public Speaking programs. 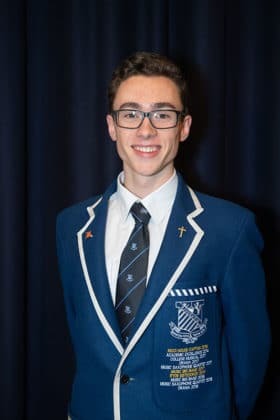 Tobias’ leadership as the Spirituality and Faith Formation Prefect and as an Extraordinary Minister of Holy Communion is focused on service to others. Trevjon is a faith-filled young man who exceptionally contributes to the parish life of Good Shepherd, Hoxton Park. He is an Altar Server, Minister of the Word, and an active member of the Parish Youth Group. 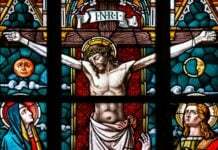 Trevjon takes leadership of the Good Friday ‘Way of the Cross’ and is always the first to volunteer and assist in various Parish ministries and events. They had been living there as refugees after being forced to flee their home when ISIS entered their village in Iraq at the start of the civil war there in 2014. When she was prevented from attending school Istella found comfort in creating games for the younger refugee children to play, helping her mother cook and assisting priests at Mass. Istella was one of 49 students chosen to receive the Archbishop of Sydney Awards for Student Excellence 2018 on 7 September. The Al-Shorachi family (left to right): Ehab, Raed, Istella, Intisar, and Adeel. 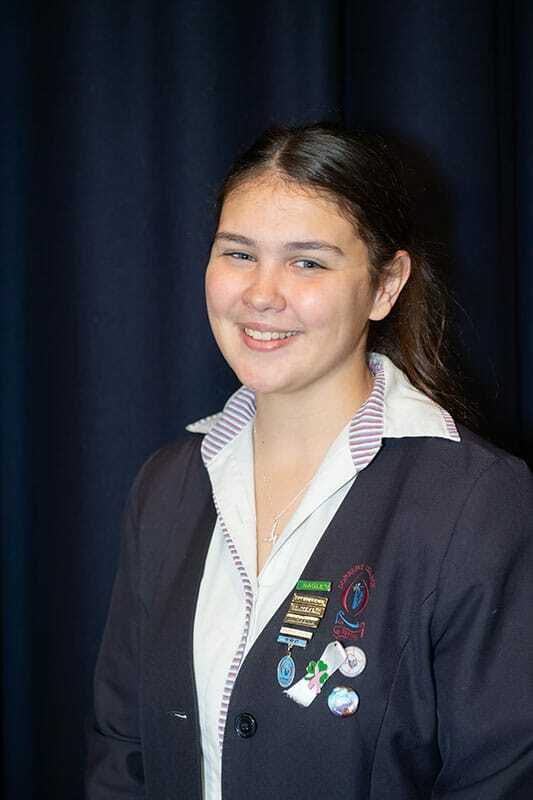 Principal Gilda Pussich says that Istella epitomises her school motto, ‘Called to Life’. 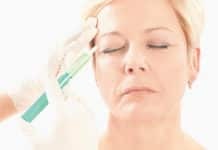 “I think that what she sees as her calling is her appreciation of life and ability to give back,” she said. “She wants to bring to her community in the school and her parish what she received in her life as a refugee leaving her country, and she does that in small ways. Since arriving in Australia, Istella’s family attend Our Lady of Mercy Syriac Catholic Church, Concord, where she is a reader at Mass, a member of the youth group and assists with cleaning. St Mary’s Cathedral College Hall was abuzz as the recipients and their friends, proud parents and families, school principals and several parish priests assembled for the awards ceremony followed by a prayer service in the Cathedral. Presenting the awards, Archbishop Anthony Fisher OP said he is “always excited” to present the special accolades each year, which recognise the service of senior students from systemic and congregational schools across the archdiocese for service to their school and parish communities, their witness to the Catholic faith and example of leadership. 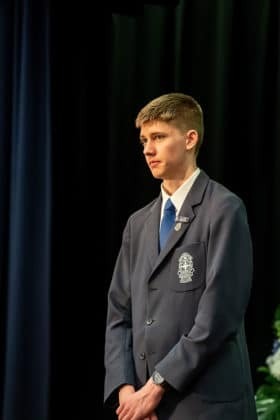 “It is a great occasion for recognising and congratulating the leadership and example that you and other young people have given in our schools, as part of the Church’s broader mission to preach the Gospel of Jesus Christ ­­­­to twenty-first century Sydney,” he said. 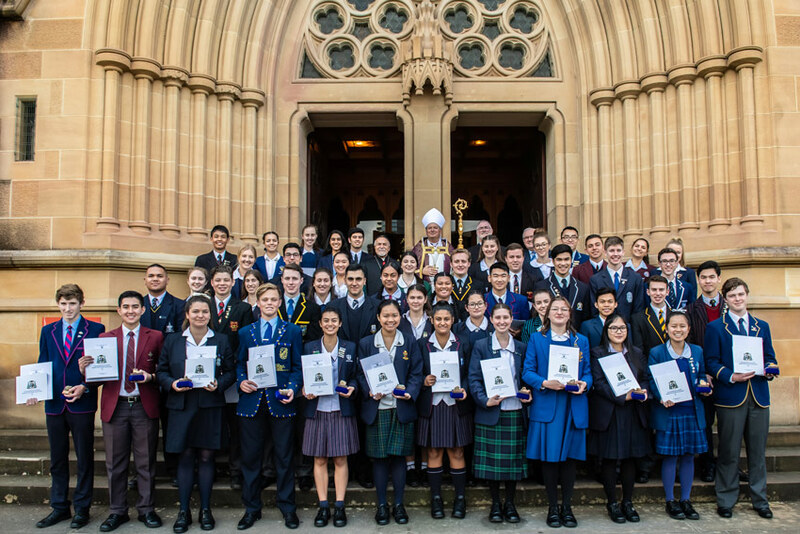 Executive Director of Sydney Catholic Schools, Dr Dan White, commended the recipients for their commitment and contribution to their colleges and wider communities. 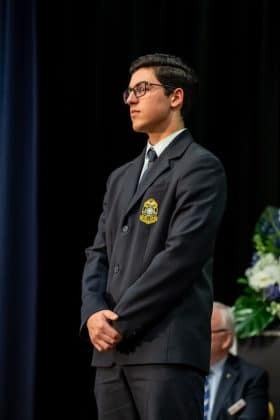 “The faith, integrity, leadership and commitment to others that this year’s award recipients have displayed make them a credit to themselves, their families, and their schools and parishes,” he said. 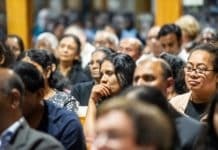 He also congratulated and thanked the parents and teachers “who have nurtured each student to become people of faith who reflect the presence of Jesus in the world”. 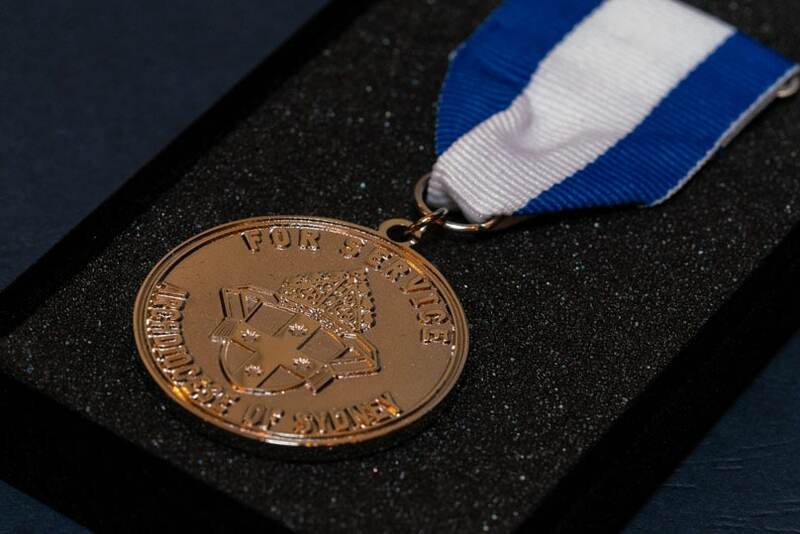 “May they continue to move forward, prepared and confident to make a difference in the world, and to discover and nurture the veins of gold in every person they meet,” he said. 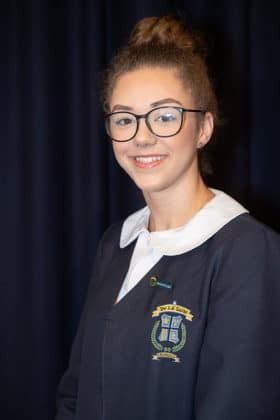 Jane Kent, student at Domremy College, Five Dock, said that she was “very honoured” to receive her award though she felt she didn’t particularly need the extra encouragement. “In my family service is just something that’s part of our lives since my siblings and I were very young,” she said.